RAMS and SAEM are proud to bring MedWAR to the SAEM Conference starting in 2019!  Sponsored by RAMS, the MedWAR Organization, SAEM Wilderness Medicine Interest Group, and the SAEM Program Committee. Registration is now open through SAEM. Stay connected on Facebook! For more information, visit saem.org/annual-meeting/meetings-and-events/events/medwar.